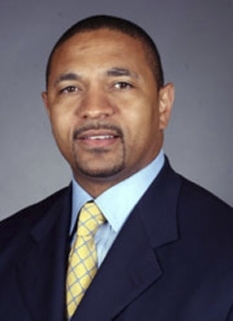 Retired basketball player, Mark Jackson, was born on April 1, 1965 in Brooklyn, New York. 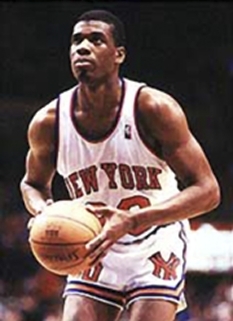 Jackson played point guard for the New York Knicks, Indiana Pacers, Los Angeles Clippers, Denver Nuggets, Toronto Raptors, Utah Jazz, and Houston Rockets 1987 to 2004. He was previously an NBA analyst for The YES Network's New Jersey Nets games. 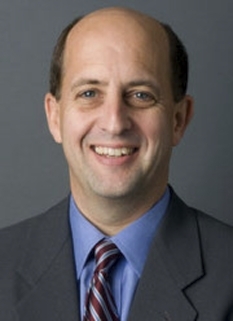 Jackson currently works as a color commentator for ESPN and ABC alongside his former coach Jeff Van Gundy. Mark Jackson was made the 18th pick of the 1987 NBA Draft by the New York Knicks. He teamed with Patrick Ewing and Charles Oakley to turn the Knicks into a prime playoff team in the late 1980s and early 1990s. However, before the Knicks peaked and became regular playoff contenders, he was traded to the Los Angeles Clippers in 1992. 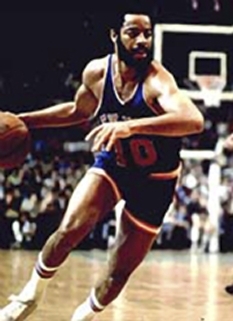 Mark Jackson had a steady career with the Knicks, averaging 13.6 points and 10.6 assists per game in his rookie season, earning him the 1988 Rookie of the Year award, the lowest overall draft pick ever to be so named. After the 1991-92 season, he was traded to the Los Angeles Clippers, a trade that saw Charles Smith and Doc Rivers go to the Knicks. 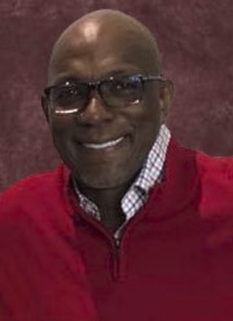 While with the Clippers, Jackson teamed with Danny Manning, Ron Harper and head coach Larry Brown to lead the Clippers to two of their few playoff appearances of the 1990s (a feat that would not be repeated until 1997 and 2006). Jackson later was traded to the Indiana Pacers for point guard Pooh Richardson, where he teamed with Reggie Miller, Rik Smits, Antonio Davis, and Dale Davis for six seasons to make the Indiana Pacers a strong contender. Jackson was traded to the Denver Nuggets before the 1996-97 NBA season started for Jalen Rose. This trade was a disaster for the Pacers, as the Pacers fell in 10th place in the East halfway through the seaon and out of the playoff race. Feeling the heat, Pacers GM Donnie Walsh "retraded" for Jackson at the deadline, giving up Vincent Askew, Eddie Johnson and a couple of 2nd round picks. The return of Jackson sparked the Pacers, but they still missed the playoffs for the only time in the last decade and a half. Jackson would eventually appear in his only NBA Finals as the Pacers starting point guard in 2000, when they lost to the Los Angeles Lakers in six games. Jackson would leave the Pacers that offseason for the Toronto Raptors, who needed a floor general and had extra money to spend with the departure of Tracy McGrady earlier that offseason. Jackson would only play 54 games for the Raptors before being traded at the deadline back to the Knicks. The return was short lived, as the Knicks were knocked out of the playoffs by the Raptors. In the offseason, he was involved in a trade back to the Nuggets, where he was immediately waived. Jackson played for the Utah Jazz for the 02-03 season as John Stockton's backup. It was this season that Jackson moved into second place on the list of all time assists leaders behind, ironically, his teammate Stockton. Jackson would play every single game that season without starting one before moving on as a member of the Houston Rockets in 2004. Jackson only played in 42 games as a Rocket and, experiencing a large drop off in skills, finished his career at season's end. Mark Jackson is currently ranked 13th on the NBA all-time games list (1,296), 26th on the all-time minutes played list (39,121), 77th on the all-time three-point field goals made list (734), 65th on the all-time 3-point field goal attempts list (2,213), 2nd on the all-time assists list (10,323) and 23rd on the all-time steals list (1,608). While many fans feel Jackson deserves a place in the Basketball Hall of Fame, many believe the fact that he played for so many different teams hurt his chances of induction (a problem also shared by Adrian Dantley before he was finally inducted in 2008). 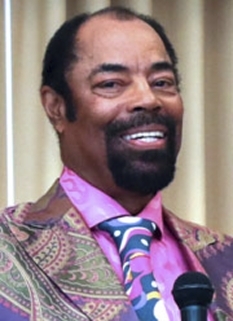 Additionally, Jackson never achieved great individual success; despite winning Rookie of the Year in 1988, he only made one All-Star appearance in his career (1989). Mark Jackson currently works as an analyst for New Jersey Nets telecasts on YES Network, most often teaming up with Marv Albert. 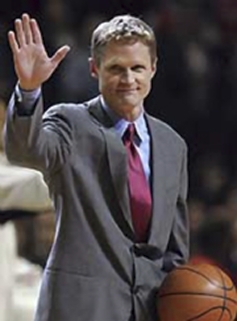 As of the 2007 NBA Playoffs, he also works as an analyst for ABC teaming with Mike Breen and, former coach, Jeff Van Gundy on these telecasts. Mark Jackson also adds his voice for some games of the NBA Conference semis on ESPN. As an analyst, he also does a weekly segment called "You're Better Than That", which focuses on the NBA's best players in their not-so-great moments during the previous week. 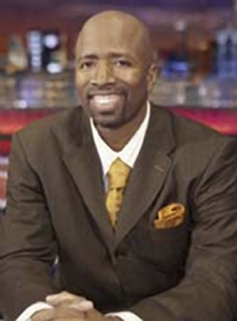 At the end of the 2008 NBA season, Jackson unexpectedly quit his position with the YES Network. This move fueled speculation that Jackson would be replacing Isiah Thomas as coach of the New York Knicks. However, Jackson claimed that the rumors were untrue and the decision was based on not wanting to commute from Los Angeles and the fact that he continued to have a contract with ABC. Rumors however, kept swirling around of Jackson returning to NY as coach of the failing New York Knicks. About the Knick rumors, Jackson waa stated of mentioning that the job seemed "intriguing". Those rumors, however, were dispelled with the Knicks hiring of former Phoenix Suns head coach Mike D'Antoni. Jackson married singer/actress Desiree Coleman on July 29, 1990. The couple has 4 children,[and currently live in Los Angeles. He is the older brother of And 1 streetballer Troy Jackson, better known as "Escalade". Jackson is also a licensed minister. 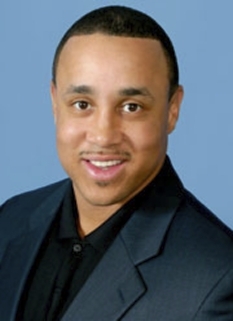 DISCLAIMER: PFP Sports Talent Agency does not claim to represent itself as the exclusive agent for Mark Jackson. PFP Sports Talent Agency is a booking agency that represents organizations seeking to hire pro athletes and sports personalities such as Mark Jackson for speaking engagements, personal appearances, product endorsements and corporate entertainment. Fees on this website are estimates and are intended only as a guideline. Exact fees are determined by a number of factors, including the location of event, the talent’s schedule, requested duties and supply and demand. PFP Sports Talent Agency makes no guarantees to the accuracy of information found on this website and does not warrant that any information or representations contained on this website will be accurate or free from errors. We are often asked how can I find out who is Mark Jackson's agent? To find Mark Jackson appearance fees and booking agent details, you can contact the agent, representative or manager through PFP Sports Talent Agency for speaking fee costs and availability. PFP Sports Talent Agency can help your company choose the ideal sports personality for your next marketing campaign. To hire Mark Jackson for an appearance, speaking event or endorsement, contact Mark Jackson's booking agent for more information.